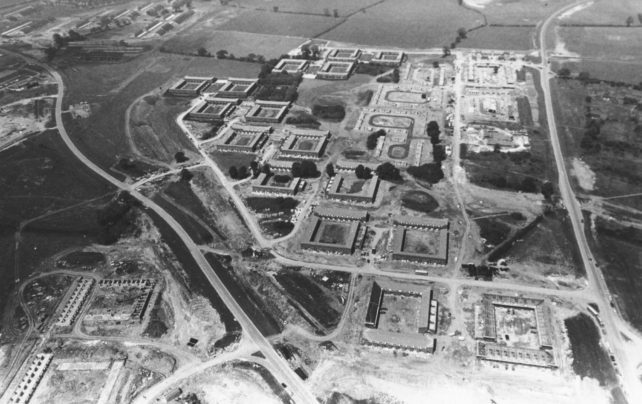 Aerial view of Greenleys housing under construction. I remember working on the Greenleys housing development back in the summer of 1974. I was an apprentice carpenter working for John Mowlem. Having been brought up in Stevenage New Town I thought the concept of social housing was a great step forward. Young people deserve the same opportunity to live in cheap rented accommodation as we had.